Tacos are incredibly versatile and quick to pull together, making them ideal for weeknight dinners. We’ve been trying to eat more plant-based meals, and this vegetarian Black Bean Tacos with Cilantro-Radish Salsa recipe is a favorite! 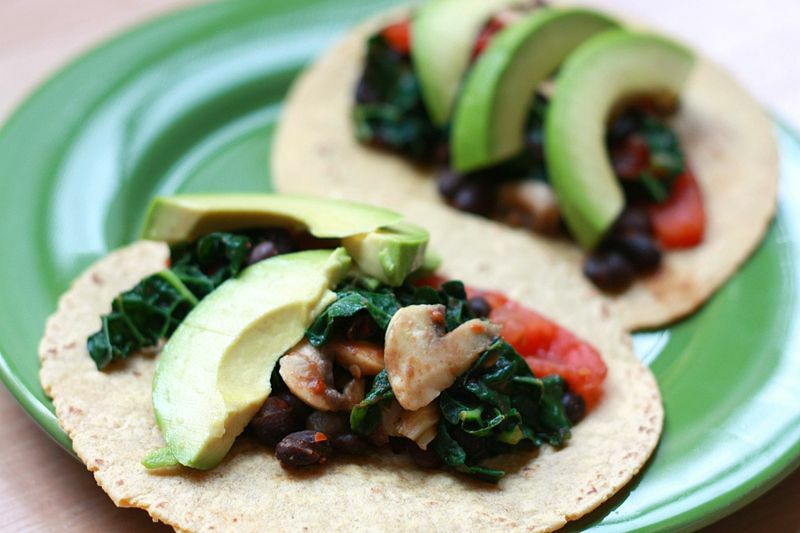 Black beans are loaded with fiber and protein, so they keep you feeling full. Plus, beans are cheaper than chicken, steak, or fish, so be sure to always have a can or two in your pantry. We love the crunch of the fresh radish salsa, too! Enjoy on soft corn tortillas. Heat 1 tablespoon of oil over medium high heat. Add black beans and season with chili powder and cumin. Add 1/4 cup of water. Bring to a simmer and cook for about 5 minutes or until water has evaporated. Slightly mash about 1/4 of the beans. Toss 1/4 cup cilantro, radishes, scallions, jalapeno, lime juice, and 1 tablespoon oil in a medium bowl. Season with salt and pepper. Heat a nonstick skillet over medium heat to warm tortillas. Place tortilla down and warm for 30 seconds. Flip and warm for 30 more seconds. Hold in a damp towel to keep warm. Top tortillas with black beans, salsa, remaining cilantro, and mozzarella cheese.